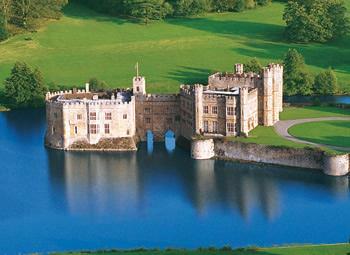 Wednesday 29th Sep 2010,11 am: Revati calls up, ”pradnya would you like to join tomorrow for a pinic to Leeds Castle?”. Me reply:”- Sure,y not”. Revathy is one of my friend currently we are exploring Uk together. Wednesday 29th Set 2010, 12am:- Vishal(husband) calls me up, i inform him about my next day travel. Being a protective husband he is reluctant to my travel.Anything that requires little extra effort from my side, he is always reluctant. (cant blame the poor soul—I have a fractured collar bone, which is why i am v sensitives to jerks). But i am in a mood to get my point through and argue with him for travel, he had no choice than to permit me as he knows my enthusiasm for travel and to explore new locations. Most important he doesnt like visiting castle, so its better he is not around other wise wouldn’t get much time to explore. Thursday 30th Sep 2010, we were suposse to report at the reporting point by 6:45am. As usual, for some unknown reason, inspite of getting up by 4:45am, i was running late. 7.10 am :- reached the reporting point. 7:20am:- I was apologizing revati for my delay, poor soul had to pretend to forgive me.Mode of travel was by bus, the moment i entered the bus-i realized we were approximately more than 30 females ready to explore the Castle. 9:10am:- We approach the castle and here is the beautiful top view of the castle.No wonder any king or queen would fight to live in this beauty.I love history and this is one of my fav castle.Think to re-visit with vipra again.